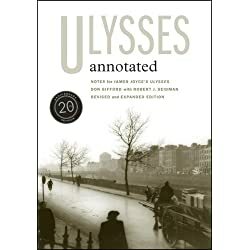 While so textured with literary tricks and magical word feats and ostensibly a parallel of Homer's Odyssey, the real star of this book is Dublin and taken literally it is about a single days journey through the complex city at the heart of Ireland. Joyce is a master of language and much of his puns, allegory and inferences are still being figured out. Some say the entire book is written in Iambic Pentameter.